Batam’s busy regional airport is in the throes of major construction works. New runways accommodating large carrier planes such as the Jumbo Jet and the Airbus will be ready by 1993, when Batam will become an international gateway to Indonesia by air as it already is by sea. 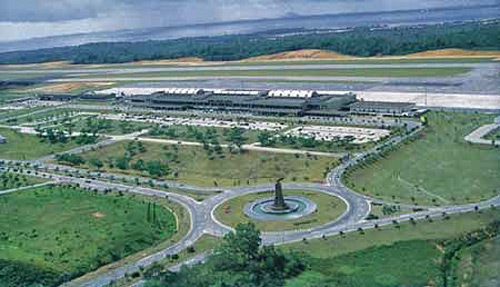 The airport provides connections to many Indonesian cities, including to Jakarta, Pekanbaru, Bandung, Medan and other secondary cities. Garuda Indonesia flies several daily flights to Batam, Sempati, Merpati, SMAC, Deraya and Airfast.